This simple stovetop apple butter recipe is quick, easy, and has NO processed sugar! Just fresh apples, cinnamon, and a bit of maple syrup make this apple butter rich and velvety. The perfect way to use up all of those fall apples. Vegetarian, Vegan. First of all, BLERGH to the fact that apple butter is one of the most boring things on the planet to photograph. Fortunately, THIS GOOP IS THE BEST TASTING GOOP OUT OF ALL THE GOOP. Too weird, though? Should we strike “goop” from our food vocabulary? That might be a problem, because now I’m in the can’t-stop-won’t-stop mode I tend to fall into with funny words. Goop. Goop goop goop. …Please still be friends with me. Confession: I had actually never made apple butter until this fall. (Just picture me throwing in some really top-notch air quotes for you there, kthanks). So I made a few different batches of apple butter, realized it was 1) delicious and 2) makes your house smell like a freaking cinnamon factory of wonderfulness and 3) can be eaten on top of cheese on top of bread. SOLD. 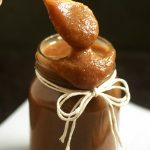 Most of the recipes I initially tried called for what I felt was a pretty excessive amount of sugar, and I found that I really wasn’t a fan of overly-sweetened apple butter. Why waste delicious apples (That we picked! At an orchard! Like the most stereotypical upstate New-Yorkers ever!) on something that you’re just going to drown in sugar, right? So I cut out the processed sugar from this recipe completely and instead opted for just a lil’ drizzle of pure maple syrup. And you guys – I liked it SOOOOO much better than the super-sugary versions. Honestly, I don’t have much of a sweet tooth, so it’s really just personal preference here – you should adjust the sugar content so that this apple butter tastes perfect to YOU! You could also totally do this in a slow cooker – just throw everything together and cook it on low for 6 hours ish and you’ll be good to go. Me, I have no patience, so stovetop was the way to go for this one. Now if you’ll excuse me, I’m going to go do cannonballs into this apple butter. (OK I’M DONE I SWEAR). How to make apple butter – the video! 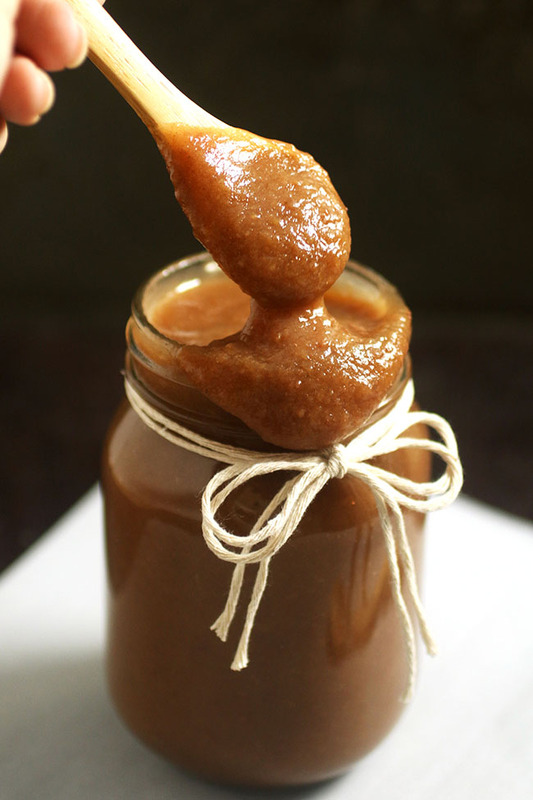 Easy homemade apple butter with no processed sugar. Stir all ingredients together in a medium-sized pot. Cover and cook on low heat, stirring occasionally, for 2 hours or so until apples have reduced (and your house smells like an apple-y-cinnamon-y heaven). Remove pot from stove and let cool, uncovered, for 15 minutes or so. Puree apple mixture with an immersion blender (you could also use a regular blender or food processor, but I love the immersion blender!) until it’s smooth and buttery. 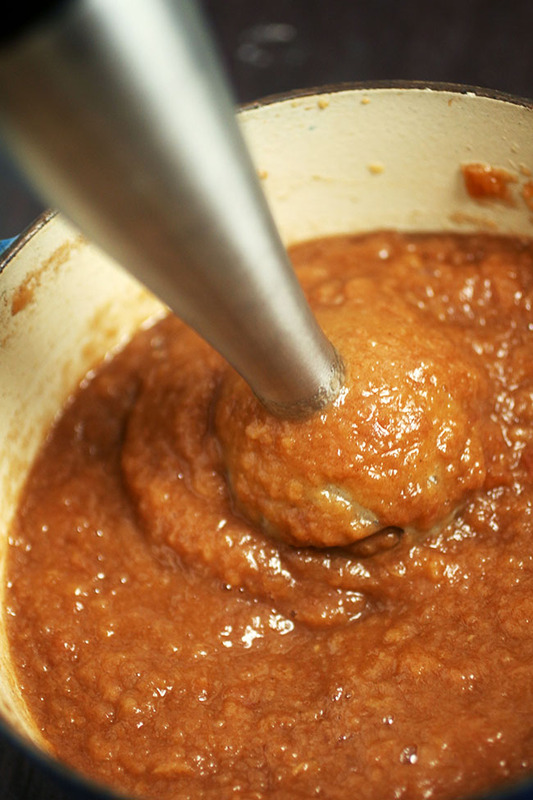 If you want to thicken your apple butter even more after you’ve pureed it, just return it to the stove over low heat and let it cook down until it’s reached your desired level of thickness. I generally cook the apple butter for an additional 30 minutes to an hour – it all depends on the apples you started with! Just keep an eye on it and tailor the process to suit your tastes. Serve apple butter warm or let it cool and keep it in an airtight container in the fridge for up to a week. 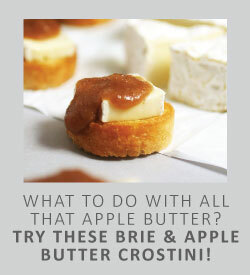 Use whatever kind of apples you like – I used a local variety we picked from our favorite orchard! I don’t bother to peel the apples for this recipe – the immersion blender purees everything so well that you really don’t need to take the extra prep step (also, I’m lazy, and peeling things is the worst). Just core them and remove the seeds and you’ll be good to go. If you don’t have maple syrup, you can use brown sugar instead. I don’t like the apple butter too terribly sweet – it’s better if the apples get to shine through! – which is why I opt for maple syrup, but if you like sweeter apple butter just adjust the sugar to suit your tastes! To make this in a slow cooker, throw all the ingredients together, cook on low for 6 or so hours, and blend as instructed. To thicken apple butter, continue to cook on the stove (or uncovered in the slow cooker) until it’s at your desired consistency. You can also add a pat of butter to make it a bit more velvety. Hi Betty, what a treat! I made this using a combination of apples and a tablespoon of brown sugar for good measure. Simple recipe and simply delicious. I’m making again this week and will double the recipe because I want MORE! Just made this tonight. It’s delicious! Wahoo! So happy to hear that, Debra – thanks for letting us know how it turned out! Thank you for this recipe, Jessie! I’m unable to eat sugar because of pancreatic issues so I was ecstatic when I stumbled across your recipe. I’m going to make it this weekend in the crockpot..hate waiting in front of the stove too much..lol! Blessings to you & yours! So happy you found the site, Becca Ann! Hope you enjoyed the apple butter! I love this! It is so tasty & perfectly balanced. I used a little less maple syrup, added a splash of water (which was unnecessary) & about 1/4 teas of ground ginger! I like it spicy so also added more nutmeg. So good! Thank you for offering a recipe w/out sugar! Hi Karie, thank you for your feedback. 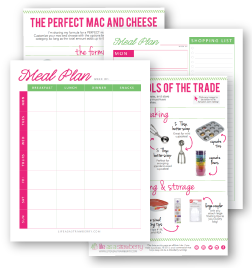 It’s great to see others sharing their little changes to the recipe for other readers to see. talking! Kinda conversational a/o narrative. Hey Sunny, thanks! I’ll be sure to forward the compliment to Jessie! Can this be further processed in a water-canning bath? I have this question, too! It would be really great to be able to give jars of this as presents, but I would like it to “keep” longer. It looks like an earlier reply says the recipe hasn’t been tested for canning. I used slo cooker, let it cook for 6 hours on med to low . Can’t wait to taste, it sure smells delicious. Funny, my husband thought it was actually butter. I love it! 😂 Thanks for sharing your slow cooker adjustments with us! Thanks, Viktoria! So happy you like it! Any suggestions if you don’t have any kind of blender, food processor, Will beating it to death in a stand mixer work? It sounds really good. I’ve made this with both a potato masher and a food mill before and it’s turned out fine both ways! I don’t know that a stand mixer would be quite as effective (if you try it, I would definitely peel the apples so you don’t have to worry about large peel pieces!) In a pinch, you could also use a wooden spoon to push the soft apples through a metal strainer or colander with relatively small holes. Hope that helps! Hi Anjana – definitely! 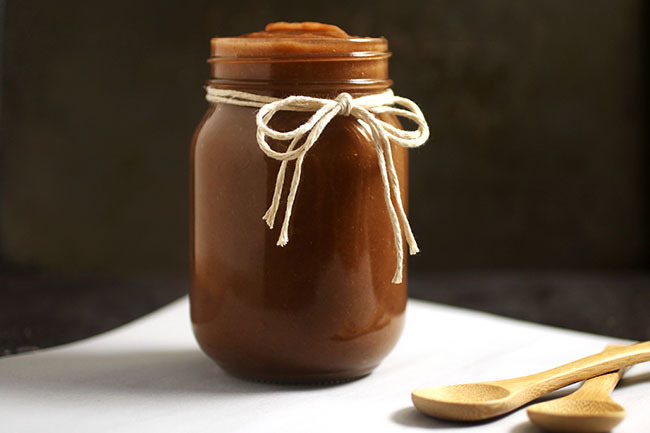 I like to freeze this apple butter in small containers (like jam-sized mason jars!) so I can pop out one small container at a time. I’ve kept it for up to a year in the freezer, although the flavor is definitely more pronounced if you defrost and eat it within six months. Hope that helps!